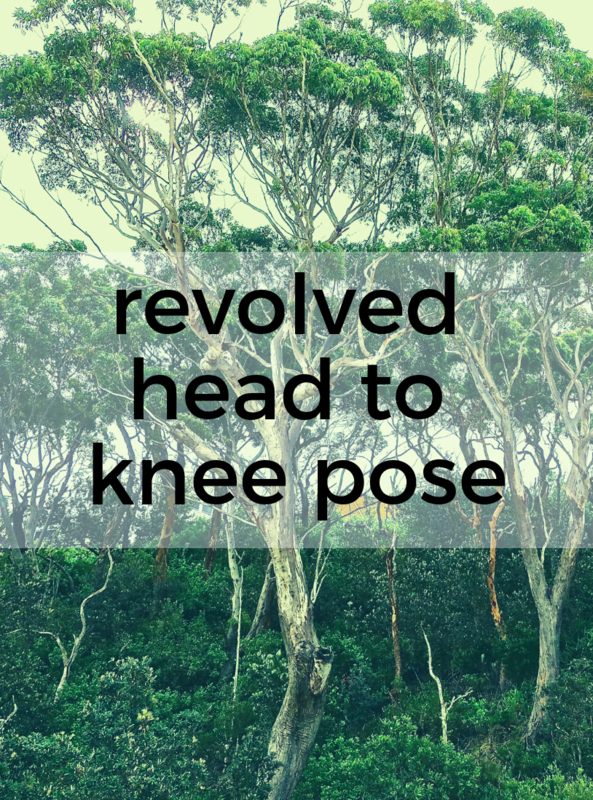 1) Begin in a seated wide legged straddle – upavistha konasana. 2) Bend your right knee and bring the sole of your right foot to the inner left thigh. 3) Lean your torso over to the left, bringing the back of your left forearm to the floor inside your left leg. If that is not possible, bring your arm to your shin or higher up towards the thigh if necessary. 4) Begin to twist your torso away from the left leg, opening your chest to the right. If your left arm is inside the left leg, you can press the arm into the leg for resistance as you twist. 5) Bring the gaze upwards, letting the head and neck follow the twist in the spine, but do not over rotate the neck. 6) Raise the right arm overhead and let the right biceps come over the right ear. 7) Keep the left foot flexed. 8) After several breaths, come back up to sit and switch the position of your legs for a twist to the other side. You can take the same twist in a seated position if it is difficult for you to come down toward the extended leg. Take the left big toe in a yogi toe lock with the left hand if you can easily reach your foot. The raised right hand can also come down to grip the left foot, but make sure that action does not compromise your twist.